My biggest writing problem is focus. So many things interest me, it’s hard to choose a topic. When I consider the question, it makes me love life all over again because, in weighing the choices, my attention glances in wonder over all I consider, renewing my sense of life’s abundance as more ideas volunteer themselves to my attention. This is the lasting aftermath of my post-depression state: a love of life, an unending wonder. This is nothing as problems go. I’m almost ashamed to call it a problem. 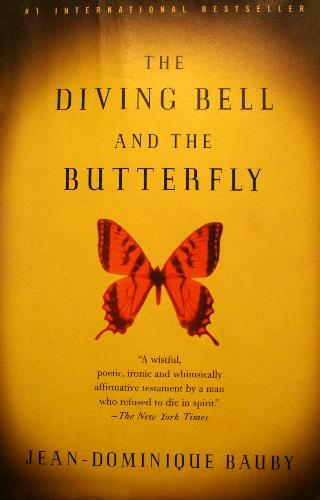 Today, I read The Diving Bell and the Butterfly, by Jean-Dominique Bauby, the former editor of Elle magazine who suffered a massive stroke and was left permanently paralyzed, a victim of “locked-in syndrome.” It gave me further perspective of how hard it can be to write. Bauby, with no reason or anticipation of any problem, had a sudden stroke that left him unable to communicate by any means than by blinking his left eye. Known for his gregariousness and wit, he became imprisoned in his own body and yet wrote a beautiful memoir of his captivity and his attempt to self-define freedom, one which spares none of the heartache or struggle of his wretched journey. His life, when he wrote his book, was unconfined by barriers such as limited time, excessive family obligations, or a pressing workload. He had all the time in the world–and it was needed, as you realize when you see the extremes necessary to produce his 131-page memoir. 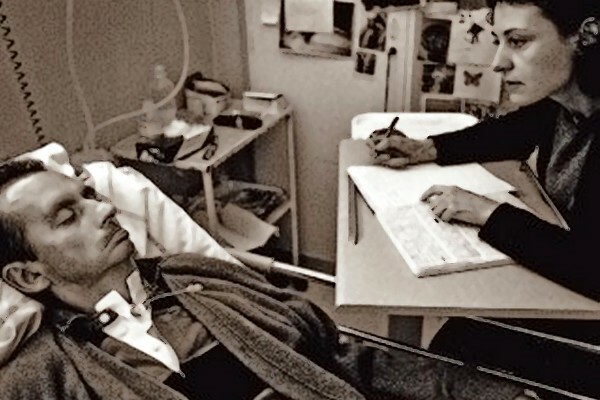 Using the ESA alphabet, he dictated to assistants, who hand wrote the notes, which were then transcribed for him. In order to do this, his assistant would recite through the entire alphabet until Bauby blinked his left eye indicating the letter he was seeking. It’s almost unimaginable to me to think of how difficult this must have been, how much mental concentration it would take to dictate a book in this manner and how hard it must have been on him, on his lover, on his children, on his friends to visit him and watch the extent of his suffering. This short book inflicts itself on the reader. It is easy with his descriptions to envision his captivity and hard to imagine how he withstood it. 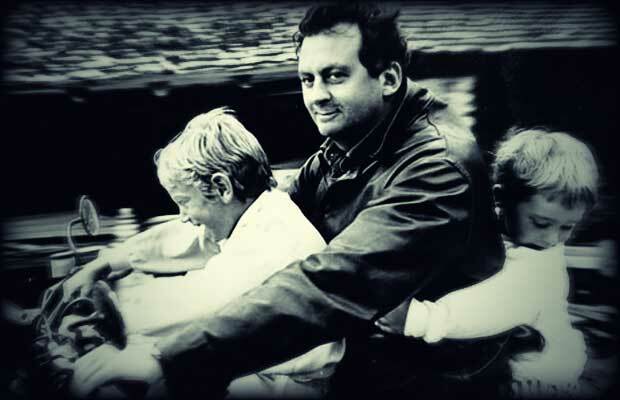 What remains apparent is the remarkable spirit that could endure his suffering and find any joy in his experiences, whether those were his private reveries and escapes from daily life or the far too poignant visits with the son and daughter he could no longer touch. Though I tend not to think of writing as hard and try to remain grateful that I get to do this at all, I’m keeping this book handy in a place prominent above my desk. I want to remember always how much harder it could be. I want to continue to cultivate the sense of gratitude that I can see and touch those I love and not watch them with mute mouth and blinking eye as they struggle to glean my intent from a list of specially arranged letters. I said it on FB and I’ll say it again here: wow, powerful! This: “as they struggle to glean my intent from a list of specially arranged letters”–this is really all reading and writing are, isn’t it? Except most of us do it without the extra obstacles that he faced. Thank you for the gratitude check. Damn. Oh my gosh. I can’t imagine doing that. A beautiful post, with a wonderful reminder. Thank you. Crystal, thank you. His story blows me away. It’s humbling. Thanks for reading. What a powerful post. Thank you for helping us get perspective. We could all show a little more gratitude for those things we take for granted, which in comparison to your subject are just about everything. Anne, I tend to be pretty grateful and yet, I always like to remind myself not to vary from he discipline. Life can change in an instant as you know from what you write about in your book. Thanks for reading. Thanks for writing it. This will stay with me for a while. This certainly puts our problems into perspective. Now I’m imagining trying to write anything one letter at a time rather than by word and sentence. His story is truly remarkable, and you tell it well. Debbie, I’ve been thinking the same thing as a gratitude exercise…500 words of torture. How the man did it is beyond me and yet the life bursts from his words. Wow. Thanks for reading and for the link suggestion. Hope you are well and writing this weekend. Thanks for reading. What a man. What a story. Wow. Melinda, yes. My heart aches to think of it. These stories of people who are dealing with more than the average load are a hugely important reminder to the rest of us. Hope your writing is going well and hope to read you soon. Thanks for reading. You have truly become a healer in the way you share your words. Linda, only you and I know the hidden joke therein. Thanks for the laugh and thanks for reading. I echo what others have said…what a powerful reminder! Today is my first well day after the flu, a struggle with so much to do after a “lost” week. And yet what I face is nothing by comparison. Gratitude check, oh yes. And a reminder that life is wonderful and worth engaging in. Thank you, Tonia. Laura, I found the book during a private moment of shopping and gvetching, started to read it, paid for it on auto-pilot, and sat on the book so I didn’t drive home reading it one eye on the road and the other on the book. I didn’t want this piece to come off as preachy. We’ve all be in that low spot I’m sure. Glad you are recovering and hope you week goes well. Thanks for reading. I saw your link to this post on FB and wanted to say a HUGE thank you for the passage I quoted above. I had heard of this man and his memoir a few years ago. At the time, I was in awe, but, over time, moved on to other books and other distractions. Your perspective on his efforts spoke to my heart. Thank you. It really is about emotion and connecting deeply and doing so with a sense of gratitude. Consider me a fan! Wendy, thank you for your kind words. I am blown away by his story and grateful that I found it at my local bookstore. Each of the short chapters was mind stomping. How he and his loved ones dealt with it is beyond me. Thank you for reading.